If you like what I post, please subscribe to my blog. Thanks 🙂 About me ?! Nothing special or just look at the photo ….. About the blog ? You will find here stuff that I like, photos made by me or found and anything I think it’s interesting. For any suggestions feel free to leave a comment here. Thank you. UPDATE :All materials on this blog, unless otherwise noted, were taken from the Internet and are assumed to be in the public domain. In the event that there is still a problem or error with copyrighted material, the break of the copyright is unintentional and noncommercial and the material will be removed immediately upon presented proof. My pleasure ! Thanks for stopping by ! Multumesc pentru vizita! O saptamana frumoasa! Cu placere si fii sigura ca voi reveni ! O saptamana extraordinara iti doresc ! Thanks for finally writing about >About me | Simple. Thank you very much, but why do you say finally ? I’ve written about me since the day one, if that’s what you are saying. I’ve given you the „Shine On” Award. Please see my post from today. Din graba la inceput ai scris ,,I” ( adica eu in engleza) cu litera mica, cand ai timp poti corecta daca vrei si apoi sterge si mesajul acesta al meu. Scuze dar cred ca nu ai observat, sper sa nu te superi ca ti-am spus. O zi buna. Nu am de ce sa ma supar.Multumesc mult pentru observatii, chiar nu observasem. O zi buna iti doresc ! Cristi, thanks for visiting my site and taking me along on your journey. My pleasure Sandy ! I hope you’ll like my journey ! My follower number 200! And I LOVE India!! Well, your blog look amazing so i’m looking forward to discover it. Thank you for the following. Thanks!! This is my photo blog. My other writing blog is thesanctuaryofmyheart.com. If you want to check it out. So glad to be following each other! Thanks!! Thank you for all your inspirational posts. Glad that we met in the blogosphere. I wish you always stay as you are and never lose your inner peace. Thank you very much ! You have an amazing blog, so keep up the good work ! Ca sa fiu sigur de engleza mea damboviteana. Am decis sa revin, pentru picatura de bucurie sufleteasca, pe care mi-o asigura splendorile estetice ale blogului tau. Ale carui reverberatii spirituale sunt pentru mine o adevarata stare de Nirvana. Draga Onu, multumesc pentru ca te-ai intors. Sper sa iti placa ce gasesti pe aici. Ma bucur sa aud asta. Va doresc o zi excelenta ! I have nominated your awesome Blog for the” Awesome Blog Content Award”. If you like to accept it, please refer to my post for the rules etc. I’m honored. Thank you very much ! I would like to include you in my ‘pack’ as one of the first bloggers who followed my blog and provided lots of encouragement with his ‘Likes’. Follow the link provided below for more information: http://otrazhenie.wordpress.com/2013/06/22/semper-fidelis-award/ . Thanks a lot for all your support and encouragement over the last year. So many deserving awards bestowed upon you and your wonderful blog. On so many occasions, your posts leave me drooling, dreaming and desirous. Thank you for adding insight and appreciative facets to my daily reads (and views!). Don’t stop. Te rog frumos sa-mi schimbi adresa din blogroll din http://dordefemeie.wordpress.com in http://dordefemeie.com. Eu te-am adaugat pe noul blog. Multumesc frumos. You’ve probably already received this award a dozen times! I just nominated you for the Very Inspiring Blogger award – thanks for sharing of yourself and bringing light into my days! It is an honor, Vicky ! Thank you very much ! Dear Cristi, as a Capricorn, I couldn’t agree more. Thank you. nice blog and that’s coming from a fellow capricorn!!! 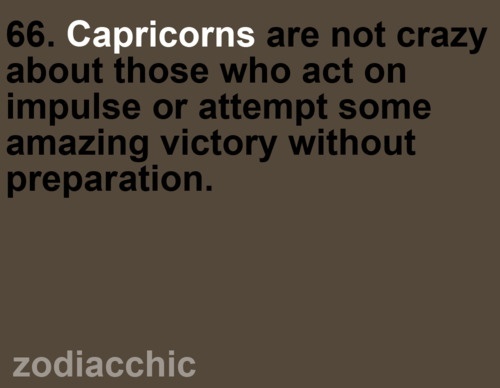 From a capricorn, WOW !!! 🙂 Thank you very much ! LOL. I know I know!!! Multumesc frumos ! Sper sa revii..
Capricorn people are also known as highly loyal. I have to admit to the attributes being another Capricorn. Hy Melanie! Glad to meet you and I hopy you’ll come back….I wish an extraordinary week! Thank you, MM! Merry Christamas to you,too! Oh, you are too kind. Thank you very much, dear friend! Michele, it is my pleasure….thank you for following my blog. Bless you! it is my pleasure to visit your blog. Keep up the good work!